Wanstead news roundup, 19.6.12; Rebirth of chocolate shop? • Whisper it… but something tasteful seems to be going on at the site of the old chocolate shop on Wanstead High Street. Readers may remember the sense of outrage when the old building – which had been part of a 19th Century row of cottages along the high street – suddenly wasn’t there any more, in 2009. The Wanstead Society was cross with Redbridge Council for, it said, failing to protect the building. The developer however insisted he was going to rebuild to the same design. It’s taken its time, but something not at all dissimilar appears to be taking shape. (Image, left, Google Streetview). • Something not seen on Wansteadium before: a story from Mail Online. See the changes in Leyton High Road where shopfronts have been tidied up in time for the Olympics. It leaves quite an impression…. • But here’s something to cheer up the traders of Wanstead High Street. 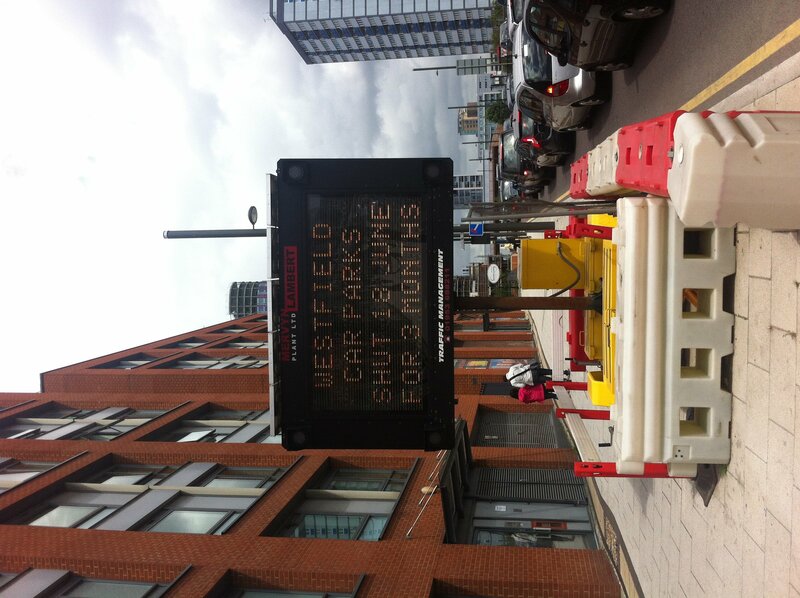 Not that I own a car, but shutting Westfield car park would likely prompt those who usually park and shop onto public transport (perhaps as suggested, from Wanstead). In addition to the expected Olympic numbers to squeeze on to the Central Line, is this wise? Do they care? But I do hope our little hub benefits from any increase in footfall though Wanstead businesses should take any improved sales for what they are – a bonus and not overstretch themselves based on increased profits or be too disheartened when next year sales dip.